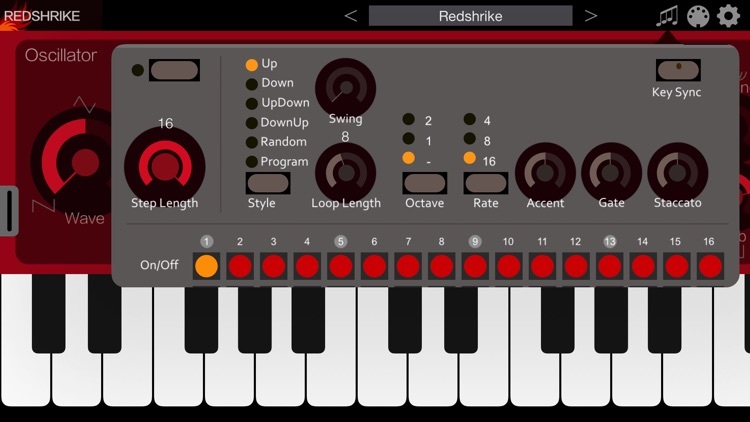 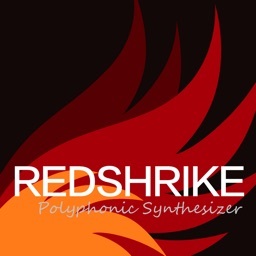 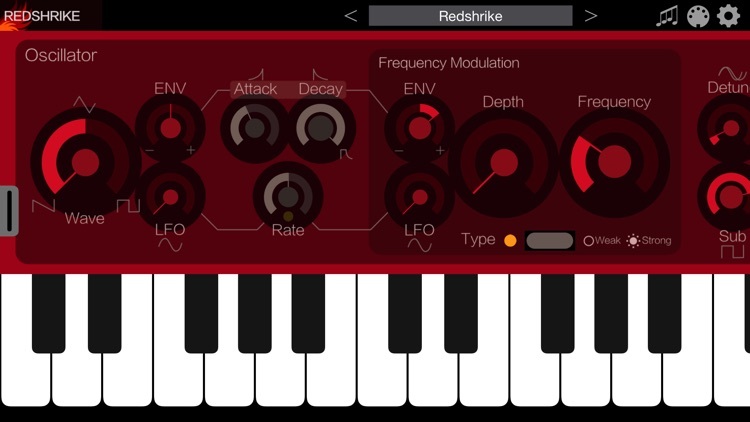 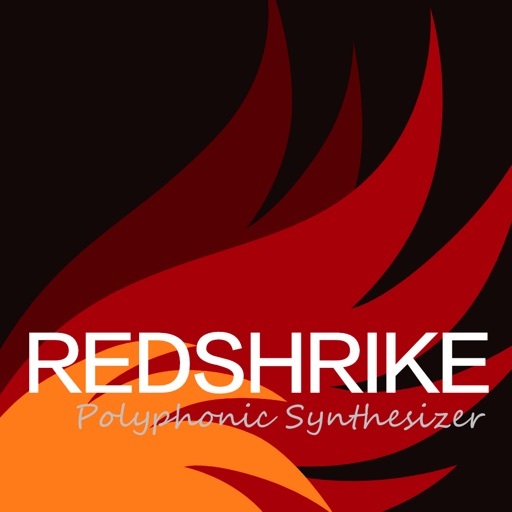 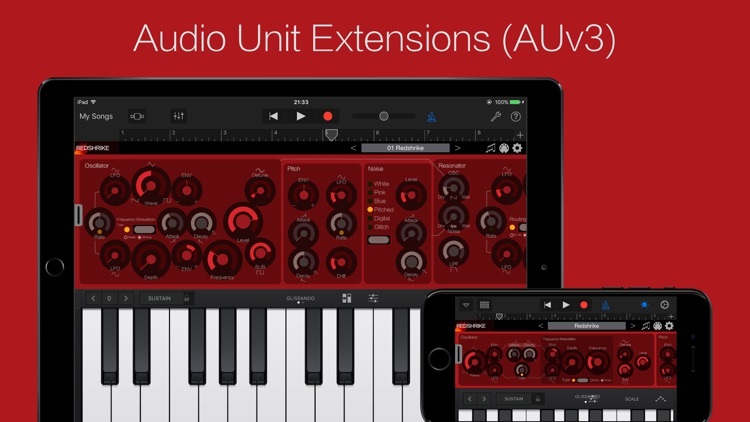 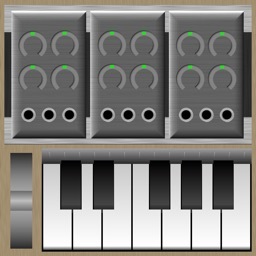 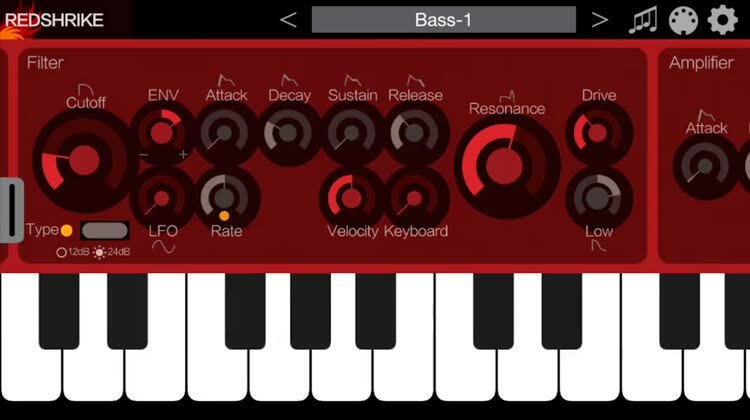 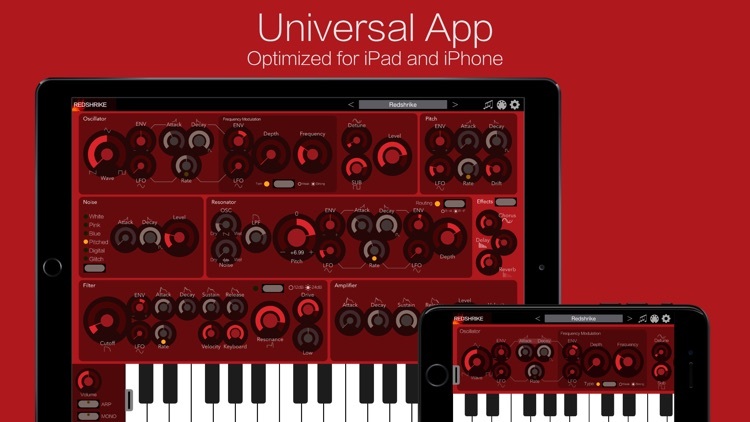 Redshrike Synthesizer by iceWorks, Inc.
Redshrike is a polyphonic synthesizer that combines a resonator designed to make more complicated sound creation and subtraction synthesis with a FM oscillator that creates violent distortion. 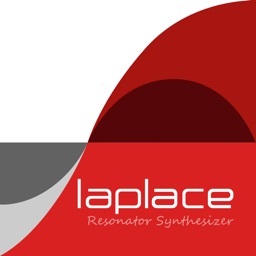 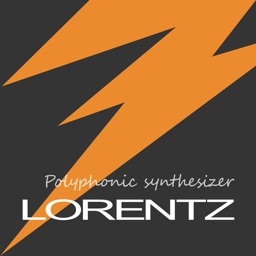 In the resonator, not only feedback amount, but also its pitch can be modulated with ENV and LFO. 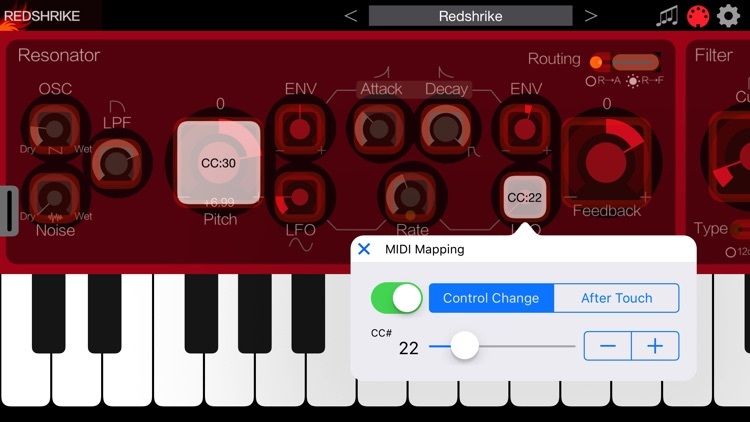 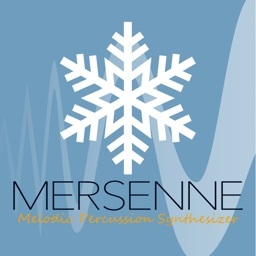 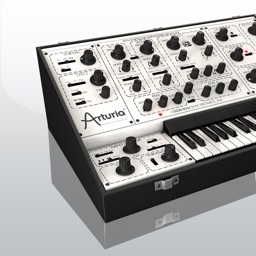 Musical distortion is added to feedback.